Things are picking up again in the Jenny Cakes kitchen after the arrival of my third bubba 8 weeks ago, good to be getting back into it. Here's a couple of recent projects. 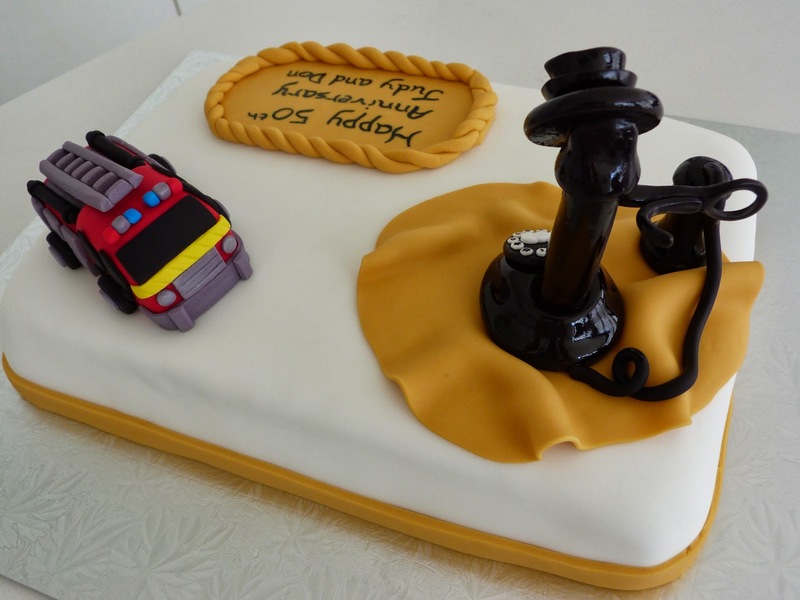 Please don't hesitate to contact me if you have any questions or would like to place an order for a cake topper. I decorated this cake for a friend to give to her lovely friends Judy and Don who were celebrating their Golden Wedding anniversary. 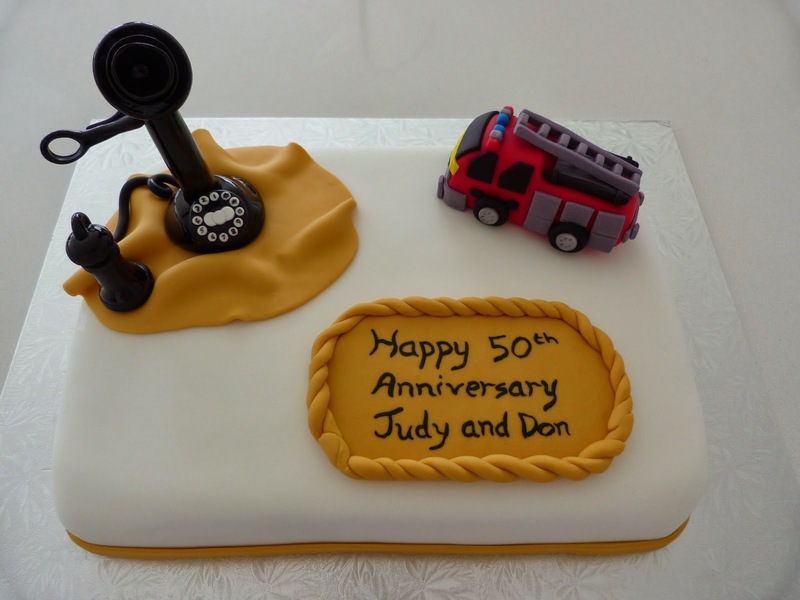 Don has been with the fire service for many years and Judy collects old fashioned telephones. And here's the lovely couple enjoying their cake! 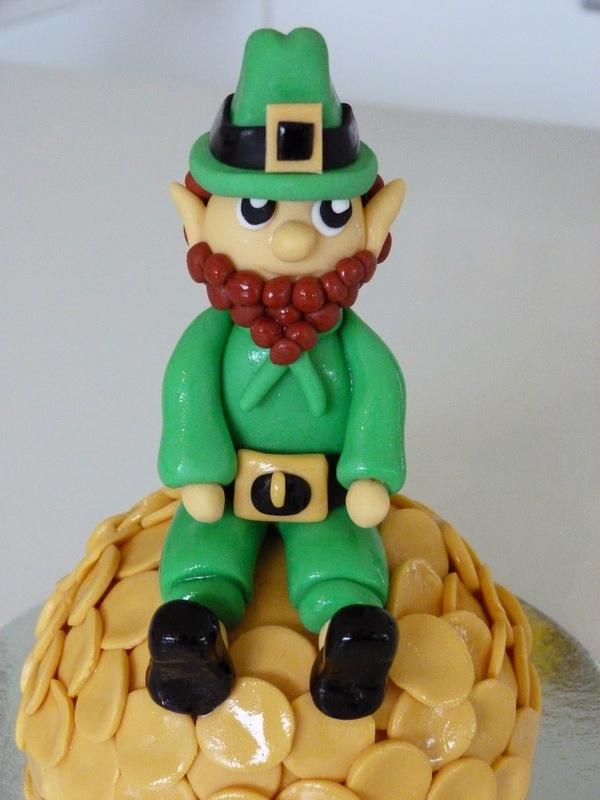 Leprechaun cake topper for St Patricks Day!